We were enjoying breakfast sandwiches and pastries recently in a tiny coffee shop in the lobby of a small hotel in the mountains with our long-time friends Patty and Rick. As it usually happens whenever we get together, the talk turned to camping. Our friends had just recently jumped back into RV life with the purchase of a travel trailer, having sold their Class A motorhome a number of years ago. Patty said that she and Rick were interested in expanding their camping horizons and she asked how Alan and I decided on our vacation destinations, how I gathered information on attractions and campgrounds and whether or not it was a good idea to make reservations ahead of time. Don’t let Patty fool you. She’s a very smart cookie and one of the most organized people I know. So, you can bet she would have figured ALL of this out without any help from me. But her questions did provide food for thought which, in turn, provided the basis for this post. I’ve mentioned in previous posts that one of the many things I love about the camping and RV lifestyles is that there truly is something for everyone. Whether your preferred home base is a tent or a 40’ coach, you’ll be able to find campsites that fit your style all across America. As with the selection of rigs and campsites, a cookie cutter approach to travel planning is not appropriate. We all have our preferred style and way of doing things – or not doing things as the case may be. Some travelers plan down to the last detail, others fly by the seat of their pants (and quite successfully, too) and still others work best with a combination of the two. Here’s how we roll . . . Even before we were married (back in the day, as our kids would say), Alan and I had identified travel throughout this wonderful country of ours as one of our top priorities. Alan loves to drive and gets bored pretty quickly riding shotgun while I’m perfectly happy doing either. I love to read and he can’t tolerate it for more than a short period of time. I’m a perfectionist at heart and certain choices are more important to me – like finding the best campsite - whereas he easily goes with the flow, having much less of an issue with where we stay or what we eat. He’s mechanically minded so he “gets” the technical stuff associated with RV travel with no problem. Me? Not so much. Or, at least, not as quickly. Our complementary skills and attitudes make for a good team and the end result is that I’m the planner and he’s the executioner. Wait, that didn’t come out right. Let me try again. I’ll formulate a plan and, once we agree on it, Alan will carry it out, getting us wherever we’re going safely and none the worse for wear. It’s a beautiful thing. 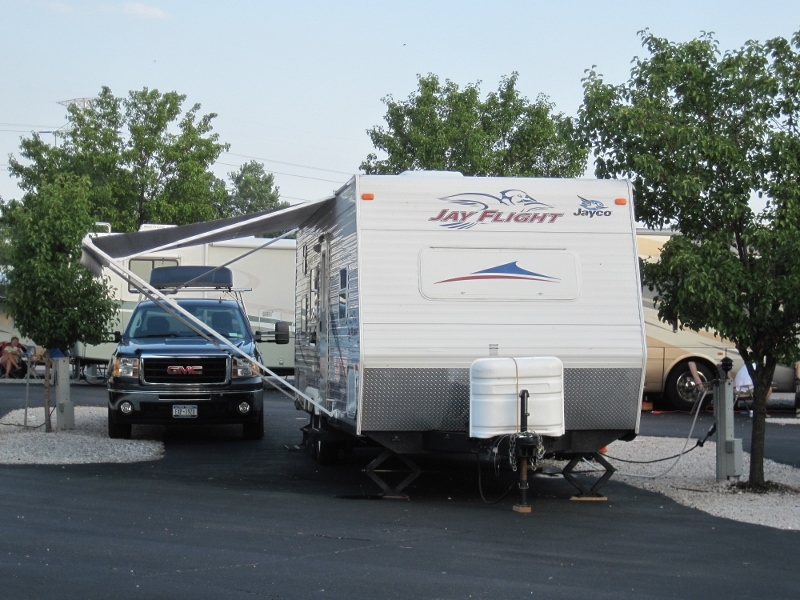 Casino Queen RV Park in East St. Louis - teamwork definitely required to find this place! Coming up with a destination is never a problem for us. In fact, we’re most often dealing with too much of a good thing in this situation. Due to business commitments and personal preferences, I don’t think we’ll ever be full time RVers, but we are able to spend an extended period of time – usually from one to five weeks – on the road whenever we choose. Ideas for different destinations come from many different places – travel articles I read online or in print, recommendations from family or friends, descriptions of campgrounds or attractions in the RV travel blogs I follow and from the travel guides in my filing cabinet where there is a folder for every single state. While I admit that I do a lot of research online, I’m a bibliophile - a lover of books - at heart. I enjoy holding a book (or travel guide) in my hands and slowly turning page by page searching for our next great adventure. If you, too, would like to peruse the travel guides that almost all states issue in print, simply type the name of a state and “official travel guide” into a search engine. Although a few states provide their guides only online and not in print, most states will allow you to request a print version free of charge. 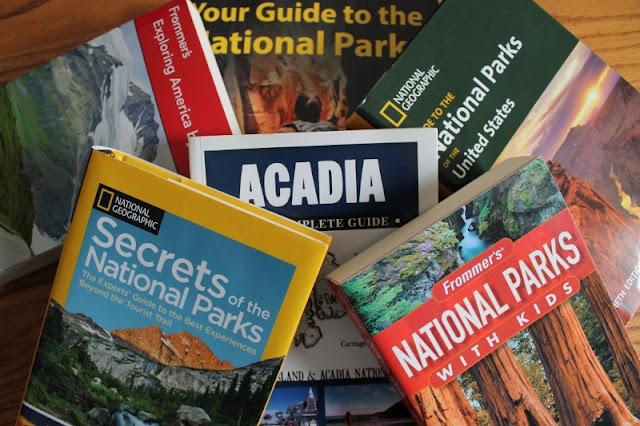 I sincerely appreciate the efforts that the state agencies put forth to highlight and publicize their many attractions, and I find that these travel guides are some of my most frequently used reference materials. In most cases, I’m the one who will drive the decision on a destination, although Alan will speak up if I mention a place he’s truly not interested in. (Hardly ever happens.) Visiting our spectacular National Parks and Monuments has always been near the top of our travel list, so many of our trips have been planned around access to the Parks we haven’t yet visited or the Parks we really love and want to return to. In addition to those destinations, Alan and I enjoy walking the sandy beaches along the oceans, hiking through forests, biking on rail trails, kayaking on pristine mountain lakes and exploring the cultural opportunities available in many cities. With such a large number of excellent options, it’s really hard to decide on a destination. Many times we’ll just go with our gut instincts – and they haven’t failed us yet. Sometimes, a quick look at the map of the states we’ve camped in will put an idea in our heads. (Hey, look how many states in the southeast we haven’t hit yet!) Sometimes, it’s a particular blog post from a fellow traveler that puts a destination on our radar (Wow! Look at those photos from White Sands National Monument!) And other times, it’s simply an ad in a travel guide that results in an addition to our Bucket List. 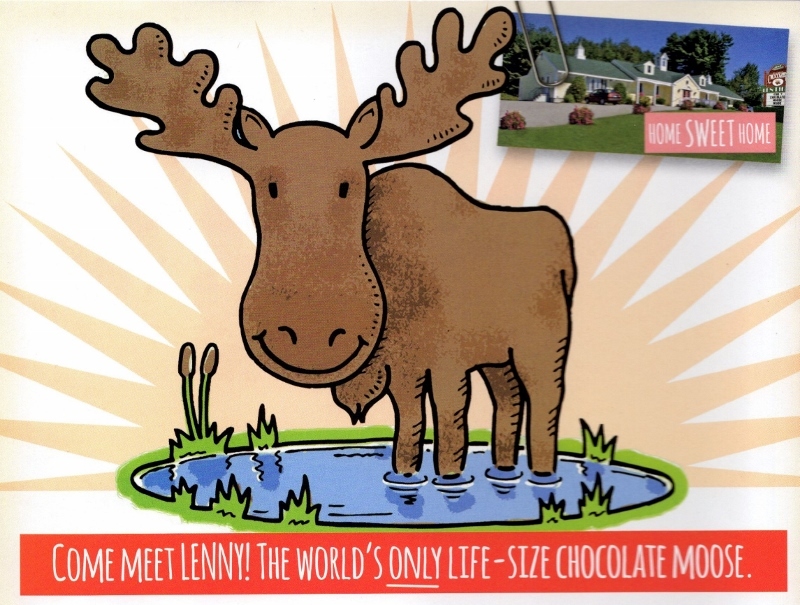 I just have to meet Lenny, the 1,700 lb. chocolate moose – yes, real chocolate – who lives in Scarborough, Maine. And I'd like to get there before some uncontrollable chocoholic leaps the protective barrier and takes a big bite out of him. (I figure there must be a protective barrier or Lenny wouldn't have lasted this long.) If you hear Lenny calling your name, you can find out more at Roadside America (link HERE), one of my favorite sites for finding some really intriguing stops along the way – any way. Seriously, something like Lenny can be the catalyst for a brand new adventure. (Let’s just say, it doesn’t take much in our house.) Once we have an idea in mind, that’s when my real efforts begin. Invitational ad found in Maine's "Official Travel Planner & Adventure Guide"
As soon as a destination has been identified, I start a “Trip Notes” document in preparation for noting the important pieces of information I want to keep. (I can’t remember to pick up milk on the way home, so there’s no way I’m going to remember all the little pieces of trivia I come across.) Then I’ll turn to our bookcase at home, our local library and, if necessary, Amazon to locate guide books for the National Parks or other places we’ll be visiting. I don't think I've ever met a guide book I didn’t like. While the information on a particular place is similar in many guide books, it seems like they each have their own focus or specialty. I’ll read as many as I can get my hands on (easily and inexpensively) because it’s worth it to me to find those obscure pieces of information that, invariably, add a memorable little something extra to our adventures. 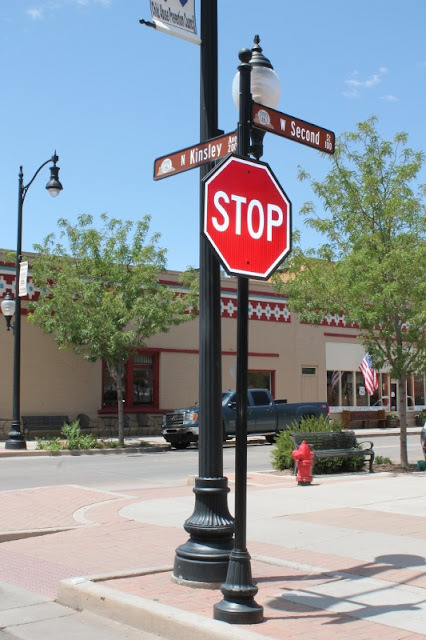 For example, while reading guide books on Historic Route 66, I came across a reference to the Eagles’ song, “Take it Easy.” Town officials in Winslow, Arizona, have immortalized a portion of the song by erecting bronze statues of the song’s co-writers, Glenn Frey of the Eagles and Jackson Browne, on the corner of Route 66 (Second Street) and Kinsley Avenue. To make this experience even more realistic, there is a mural painted on the building behind the statues that reflects a girl and a flatbed Ford. If you so choose, you can find yourself “standin’ on a corner in Winslow, Arizona” along with about 100,000 other fans. (That’s the town’s estimate as to the number of people who visit that corner every year.) Now, I may be a little slow on the uptake sometimes but, until I read that guide book, I wasn’t even aware this tribute (and the opportunity to boost tourism) existed! That’s what I love about guide books – you never know what little tidbits you'll turn up! As I'm making my way through the guide books, I'll often refer to TripAdvisor (link HERE) to determine what kinds of attractions and dining opportunities are available in the areas in which we'll be traveling. When I find items of interest in reference to particular places, I’ll add them to my Trip Notes document and print that out just before we head out for a trip. Once I’ve read any applicable guide books, I’ll plan an itinerary and run it by Alan. We’ll talk about any tweaks that need to be made and then I start working on the calendar. Since I do most of my planning at a desktop computer, I’m often happily ensconced in a quiet back room surrounded by the road atlas and guide books, working with a least a half dozen web sites open. Please don't laugh! When you enjoy planning as much as I do, it's really like you get to enjoy the trip twice. Bob Lowry, author and blogger over at Satisfying Retirement (link HERE), admits that he enjoys the planning stage, too. There must be something about writing and research that makes one a good fit with the other. But I digress. Yet again. MapQuest (link HERE) is usually one of the first sites I’ll pull up, so I can figure out how many miles lie between here and there. Depending on the type of trip we’re doing, we may travel 500 highway miles per day or just meander down the road for 200 or so. Both Alan and I truly are road trippers at heart and we’re quite content to log whatever number of miles makes the most sense for any particular day. When I know where we’ll end up at the end of the day, I’ll start looking for State, County, City or Regional Park campgrounds in the area. It’s not that we don’t like private RV parks; it’s that we prefer to be enveloped in the beauty and solitude that public lands provide. You know what they say . . . to each his own! My favorite books are Frommer’s Best RV and Tent Campgrounds in the U.S.A. and three others written by Don Wright: Don Wright’s Guide to Free Campgrounds, Western County and City Parks, and The Wright Guide to Camping with the Corps of Engineers. Frommer’s guide doesn’t cover all of what I, personally, would consider “the best” campgrounds in each state, but it does provide excellent information on those that are included. The 14th edition of Free Campgrounds (which is the one I’m working with) covers campgrounds $12.00 per night and under, so most of the included campgrounds are operated by public agencies - right up our alley. Western County and City Parks comes in handy quite often on our National Parks trips out west because it lists many wonderful campgrounds that we might not find through ReserveAmerica or Recreation.gov. And, since COE campgrounds are some of the best ever in our book, Camping with the Corps of Engineers is a beloved addition to our bookshelf. Turning to online resources, my go-to web site is RV Park Reviews (link HERE) where both public and private campgrounds are rated by travelers who have stayed in them. In fact, I distinctly remember that it was on this site that I found a tip for booking an excellent campsite at the North Rim of the Grand Canyon. Currently there are almost 320,000 reviews covering more than 16,000 campgrounds on RV Park Reviews. 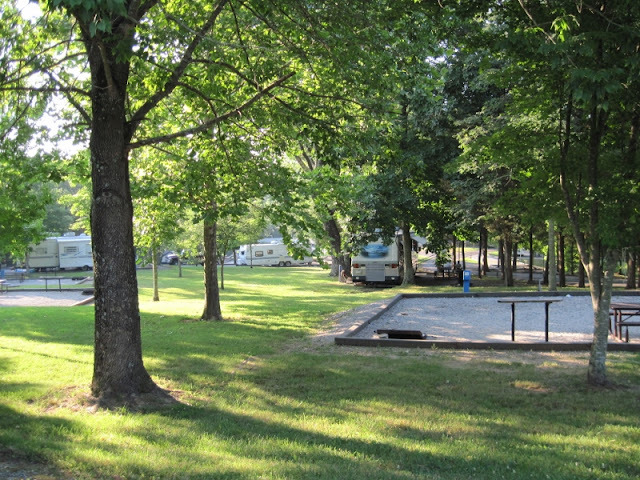 I know a number of RVers who use Campendium (link HERE) to find campgrounds and, while it is a good resource, I usually find there are often more reviews for a particular campground on RV Park Reviews. But, just recently, I learned of another web site called Ultimate Campgrounds (link HERE) from Mike Mills who blogs over at Phannie and Mae (link HERE). This appears to be an excellent resource for those of us who are fans of public campgrounds and I’m very happy that Mike mentioned it. (Thanks, Mike!) 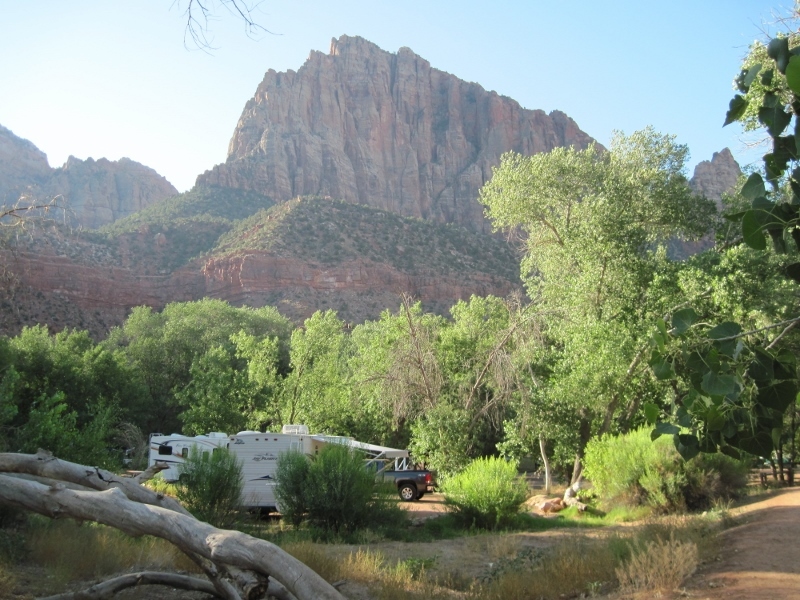 Ultimate Campgrounds includes listings for campgrounds operated by the National Park Service, the Army Corps of Engineers, the U.S. Forest Service, the Bureau of Land Management and States, Counties and Municipalities. 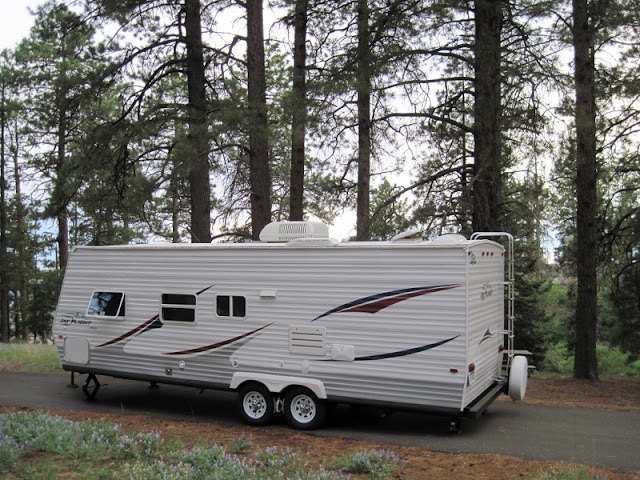 There are also options to purchase the Ultimate Campground app for Android, iPhone or Mac computers, as well as POI Lists (data files) that can be imported to a GPS system. Use of the web site is free but there is a small fee for the apps and POI lists; they all use the same database. Although I’ve not been in a campground search mode since Mike mentioned Ultimate Campgrounds, I’ve already added it to my list of keepers – it’s just that good! While trying to identifying a respectable place to call home for a night or more, I always try to find photos of the specific sites within the campground I’ve identified as the best fit for us. Since I’m usually extremely picky about the sites we choose, I work very diligently (some would say obsessively and I would have to agree) to find the sites with the most pleasing layouts, the greatest number trees and the best views. Since so many federal and state agencies use Recreation.gov (link HERE) or ReserveAmerica (link HERE) as their reservation system, those are the first two places I’ll look for pics. But not all campgrounds have submitted photos and not all states with their own state reservation system post photos on their sites either. So, my next stop is usually Campsite Photos (link HERE). Greg has photographed all the campsites in a huge number of public and some private campgrounds – and his photos of individual sites are almost always better than what I can find elsewhere – if I can find any at all. Anytime I’m looking for a State Park campground specifically in New York, I’ll turn to Dave at Camp ADK (link HERE). He doesn’t take just a single photo of the campsites at New York’s State Park and DEC campgrounds, he takes several from all different angles – and this has proven to be extremely helpful to us on more than one occasion. In addition to Roadside America, TripAdvisor and NOAA (our go-to for weather forecasts), there are two other online resources that we depend on while we're on the road. Because we often stay in campgrounds without hookups, there isn't always a dump station available to us. A Pilot or Flying J with RV services will do the trick but, if we can't locate one on our route, RV Dump Stations (link HERE) or Sanidumps (link HERE) can save the day. Our friend Patty’s last question – about whether or not it’s a good idea to make reservations ahead of time – is a matter of such personal preference that I don’t have a definitive answer. When we’re on vacation, we always run with full reservations. Unless we don’t. (See? It’s not an easy question to answer.) I generally try to have reservations for every night of our trip. Alan and I just feel better knowing that we’ve found someplace quiet and safe where we can get a good night’s sleep without worry. But on long travel days when there isn’t a public campground near the highway that we can shoot for at the end of the day, we’ll stay in a Walmart lot or at a Cabela’s rather than increase or decrease the number of miles we’ve planned for that day just to hit a campground. For actual destinations – or for places where we’ll be spending two nights so we can squeeze in a day of rest and relaxation, I always book a reservation ahead of time. This has occasionally caused us to forfeit a campground fee but, when all is said and done, Alan and I agree that this is the most comfortable way for our us to travel. I like knowing that, not only do I have a place to rest my weary head but, because I worked extremely hard to find the right campground and the best site for us, it’s like Baby Bear’s porridge . . . just right! Once I’ve nailed down all the details for a trip, I’ll use Microsoft’s Publisher to design a calendar so that I can note each day’s mileage, travel time, campground and main activity. The calendar, my Trip Notes and any “supporting documentation” such as reservation confirmations and travel articles related to the trip are placed in either a folder or a binder, depending on the length and/or complexity of the trip. I track all of our expenses while on the road and keep spreadsheets with the details to make it easier to budget for the next vacation. Would some people say I overdo the details? Absolutely. There are many people who can travel safely and happily with little or no structure and only the slightest attention to details. I’m not one of them and I probably never will be. But those folks will have a wonderful vacation – and so will we. Who knows? Maybe someday we’ll be standing on a corner in Winslow, Arizona, together! I trust that I’ve given Patty and Rick some food for thought. And I hope that any of you who have trip planning suggestions or know of other useful resources will share them in the comments section below. Thank you so much for stopping by! Please do visit again – and soon! While two of the web sites mentioned in this post are already on my list of "Favorite Places,” I’ve added others in the column at the right so that you can easily access the sites in the future if you wish to do so. Please note that I use these sites because I like them and find them helpful. I’m not affiliated with them in any way and I’m not being compensated by any of them for this post. Happy camping! Thanks for the shout out, Mary! I am exhausted from merely READING about your industriousness in planning your trips, but I also admire you for maximizing the enjoyment of your travel experiences in this way. You are a tour de force, for sure! Happy trails! And just think, Mike, I get all that done before you're finished with your first cup of coffee! (Wink, wink!) Although I shouldn't poke fun because at least you and Sandy are enjoying your RV travels already this spring while we still can't get our travel trailer safely down from its pad in the back due to snow and mud.